It’s spring. 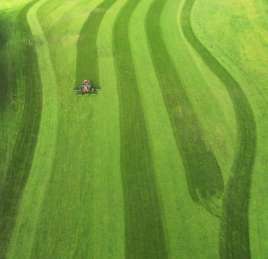 Gentlemen and gentlewomen, start you mowers! When we finally bought a house with an actual yard, I was excited about mowing. Yeah, I got over it. And ya gotta cut it straight. 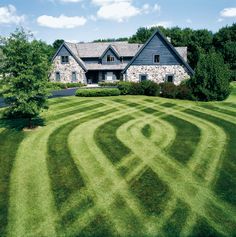 ⇐ The first few times I mowed, it looked like this. I finally figured out I needed to maintain a straight line. But how? Years ago I asked a ballerina-girlfriend how she kept from losing balance every time she did those amazing turns. “Spotting,” she replied. Dancers pick something to focus on, spotting it again each time they come around. This keeps them from flying out of control, and throwing up on their nicely dressed opening night audience. Want to Change Behavior? Just Believe!